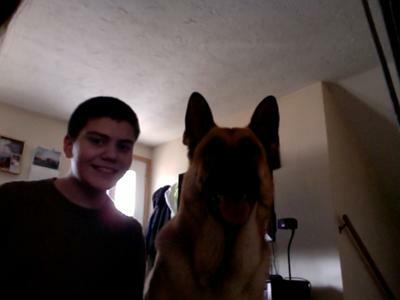 When my gsd was 7 months old, I was sitting outside with him next to me. All of a sudden he began to stare intently at my shirt, I was wondering what in the world he was staring at me like that for and suddenly he lunged toward me and grabbed something off of me with his mouth and hurled it to the floor. When I looked down, there was a bumblebee laying there. My puppy had saved me from being stung. Love my german shepherd, he is 2 years old now. Hello Ms. Rodriguez, what a great German Shepherd puppy story. And thank you so much for sharing your great story about your wonderful German Shepherd puppy too. And what a wonderful picture! It's absolutely amazing what they can do for us - even when we are not paying attention.